Erg gezellig, schoon en chill hostel op een toplocatie. De eigenaar is super behulpzaam en verzorgt elke zondag een lekkere bbq. Wij vonden het hostel een huiselijke sfeer hebben, wat ons een goed gevoel gaf. I had a great stay at Sugar Cane! Felt directly at home, also because of Gunther, the owner of the hostel. Every sunday there is a nice BBQ organized by him. If you want to party or to rest, Sugar Cane is the place :) I would highly recommend! Small, clean, good location and a great atmosphere. Sunday = bbq-day! Really enjoyed my stay. Very nice hostel with a very nice owner. Atmosphere is great but a bit on the calm side. Nevertheless, had a very nice stay here, beds are comfortable, people are nice, and the facilities are clean. 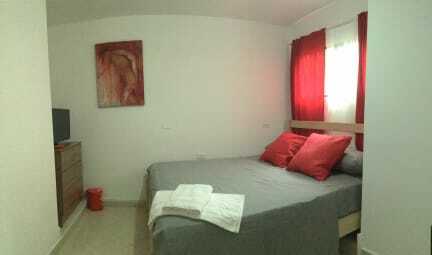 Great hostel with very nice staff and the owner is very helpfull and knows everything about the city/country. The place is also one of the cleanest I have been in a hostel. Gunther the owner of this hostel makes it happen here. He gave us really great advice about what to do in Medellin and where to eat in the neighboorhood. 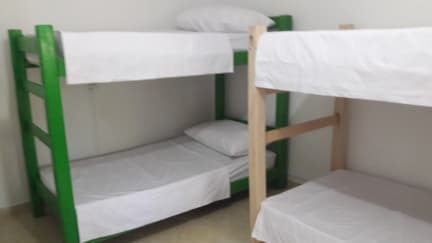 The hostel is in a great area; lots of nice restaurants and great atmosphere. Leuke duitse eigenaar. Je kunt hier mooi savonds op het dakterras zitten met andere gasten uit het hostel. Op zondag is hier een bbq. Het personeel is vriendelijk en kan goed engels. We stayed in a private room, which was super clean just like the bathrooms. They have a rooftop terrace where there is breakfast to do yourself in the morning and an 'honest system' beer fridge. The staff was friendly although Gunther tried to hook us up with expensive tours. For instance the tour to Guatape of 130.000 pesos. We went to Guatape ourselves and it turned out to be really easy and it only cost us 48.000 each. This gave us the feeling that we weren't getting an honest advice. It was a nice hostel. But at the last day we asked Gunters advice and ended up missing our flight because he said we would make it easily.